← Jesus! Fisher of men or destroyer of CarFreeBrad? 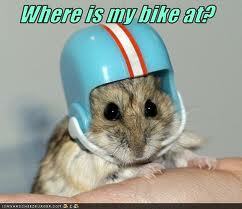 Where the F*%^ is my bike? After a long week of classes and a few less than pleasant commutes across Worcester this week, I may have just lost my mind for a second! I just lost my bike for the second time this week! I lost it in the sense that I walked from one side of campus to the other, got to the bike rack and my bike wasn’t there because I locked it up somewhere else. Normally, this would get a small rise out of me, a light chuckle and then I would go get my bike. But this last time was different because I missed twice! Yeah, you heard me. Went to the next rack and no sign of my bike! So after walking around for about 20 minutes, I remembered that I locked it up over by the gym so that I would have to walk back and forth a bunch of times! I need you bad right about now!